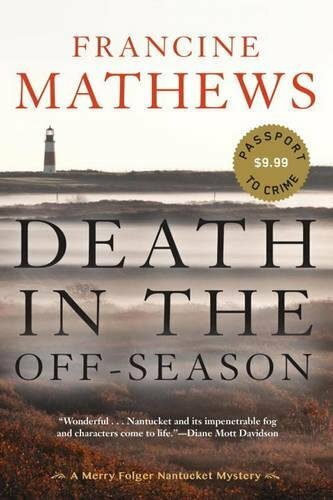 When Rusty Mason, scion of one of Nantucket’s oldest and wealthiest families, is found dead in a flooded cranberry bog one foggy fall night, thirty-two-year-old detective Merry Folger is faced with her first murder case. Merry is the daughter of the local police chief and granddaughter of his predecessor; her father is a strict boss and Merry feels pressure to go the extra mile to prove her promotion to detective isn’t just nepotism. But the Mason murder is a demanding first test. Merry’s investigation brings to light all the tensions that plague the tiny community of Nantucket: the decades-old grudges, the skyrocketing real estate that only wealthy weekenders can afford, the resentments of the old Nantucket families who are barely keeping their homes and heritage fishing businesses alive. But Merry knows the island and its politics in a way only a local can. I am not sure where I heard about this series, but I am so glad I found it. I loved this book! And that is coming from someone that is not a huge mystery fan. I enjoyed the writing of this book. The author is former intelligence analyst at the CIA and I think it shows in her writing. The mystery is well written and gives a lot of details without being overly graphic. I look forward to reading more in this series.